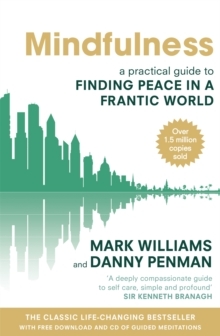 MINDFULNESS reveals a set of simple yet powerful practices that can be incorporated into daily life to help break the cycle of unhappiness, stress, anxiety and mental exhaustion and promote genuine joie de vivre. It's the kind of happiness that gets into your bones. It seeps into everything you do and helps you meet the worst that life can throw at you with new courage. 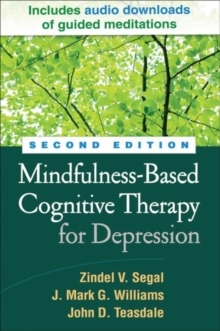 The book is based on Mindfulness-Based Cognitive Therapy (MBCT). 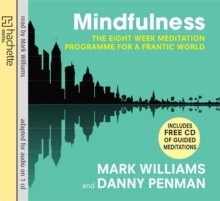 MBCT revolves around a straightforward form of mindfulness meditation which takes just a few minutes a day for the full benefits to be revealed. MBCT has been clinically proven to be at least as effective as drugs for depression and it is recommended by the UK's National Institute of Clinical Excellence - in other words, it works. 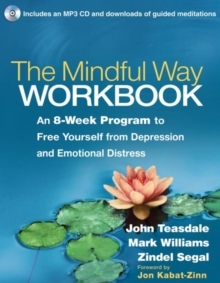 More importantly it also works for people who are not depressed but who are struggling to keep up with the constant demands of the modern world. 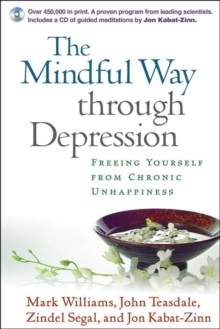 MINDFULNESS focuses on promoting joy and peace rather than banishing unhappiness. It's precisely focused to help ordinary people boost their happiness and confidence levels whilst also reducing anxiety, stress and irritability.